Does giving us the option to murder our children really empower us? Last weeks abortion legislation has revealed pivotal things about our culture, and it is high time we faced them. Our culture has taken a turn decidedly towards death, and the most innocent among us are paying for it with their lives. This struck me hauntingly last week, when I saw a viral video of a woman from my home state of Virginia. This woman - Democratic Delegate Kathy Tran, stood before a committee and acknowledged that she wants abortions to be permitted up to 40 weeks. Even worse; when asked whether a baby could be aborted even as the mother was giving birth, Tran said her bill would allow it. And that is not all. Only a few days prior, New York Governor Cuomo signed even more radical legislation allowing babies to be killed even after birth. Think about that. If a woman is in labor, her baby is moments away from birth, fully and beautifully formed, and completely capable of pain. Yet Kathy Tran and Governor Cuomo want women to have the right to kill that baby as it is pushing its way into the world. Cuomo claims he is doing this for the future of women, saving us from the possibility of an end to Roe vs. Wade. 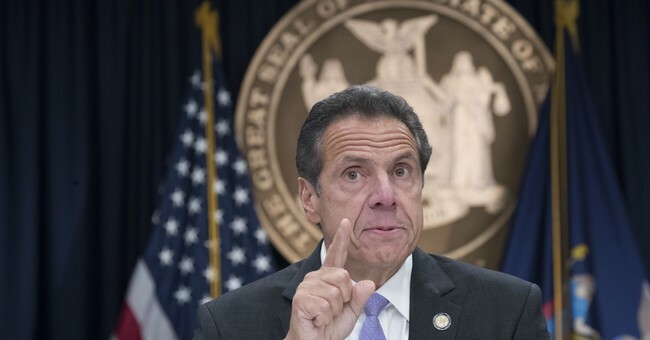 “We are sending a clear message that whatever happens in Washington, women in New York will always have the fundamental right to control their own body," Cuomo said. Then he lit up the Empire State Building with bright pink lights, shining forth to let the world know America now embraces the murder of our living children. She hits upon an important point here. Cuomo, Clinton, Obama….these progressives all claim that they push abortion legislation in the name of “women’s health.” Women’s autonomy is just so important to them - they claim a woman must always be able to control her body. And in these recent cases, lawmakers claim that they are prioritizing the mother’s physical and mental health. This is an utter lie. Progressives lean on the crutch of women’s health to disguise their real intentions. As my friend pointed out so clearly, if a child is so close to delivery at this point, proper treatment is delivery. Yet the Left tells us that killing the baby on the operating table may positively influence the mother’s mental health and is thus more important - and we are expected to buy this. The progressive appetite for abortion has only grown. Once upon a time, abortion was a last resort to be spoken of in hushed tones. Once upon a time, people recognized that it was shameful to throw away a human life because of your own selfish desires. Yet this has snowballed into Americans applauding legislation allowing the murder of babies during and after birth - even if only for the sake of the mother’s mental health. What has happened to our culture, that lawmakers can even articulate these words aloud, let alone with confidence and applause? “My body, my choice!” Progressives chant, marching down the National Mall in their pink “p*ssy” hats, their signs decorated with period jokes, and their uncensored Trump slurs. They claim they are standing up for the next generation of women, fighting valiantly for the right to unrestricted abortions. If they only could step back and realize that they are demanding the right to destroy millions of unborn women - women whose choice will never be heard. This is not our choice. This is real evil.